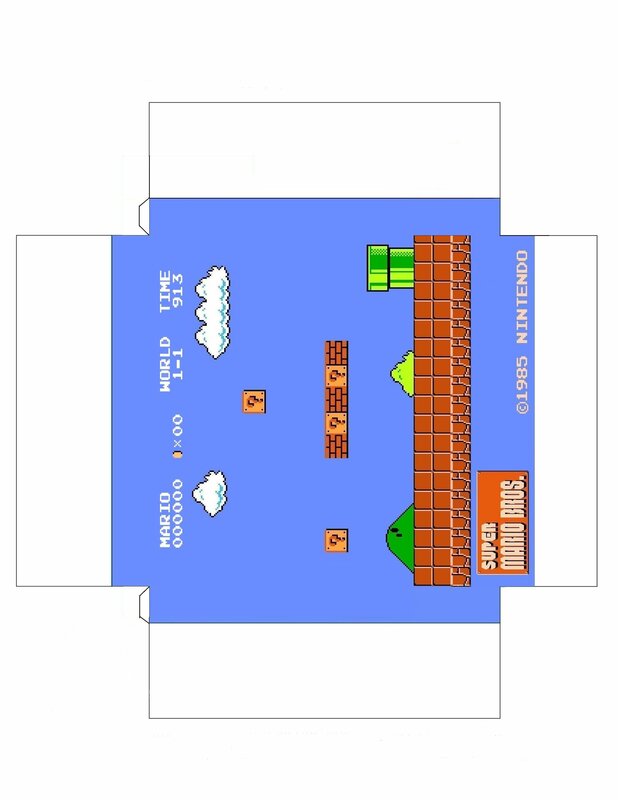 IKEA Ribba Papercraft Part 1: Super Mario Bros 3. This papercraft project was designed and made by Remko Voets, who was awesome enough to share this here with everyone. Thank you Remko! A few years back I made Mario 3 diorama that was tailored to fit IKEA’s Ribba box frame. That was my last papercraft project. I intended to make more but I hate my printer (the feeling is mutual I think). Fortunately Remko took the reigns and constructed this beauty. He made two flavors: a simple one with all the art on a single image (which is smart – I went back and did the same for my Mario 3 one), and one where you’d have to assemble everything. After the jump you can find everything you need to make your own. Just like the first one this is applied behind Ribba’s picture frame, which is pressed to the front of the box against the glass. These are perfect for a rainy day project, and they look great on your wall. Every time I look at mine I’m reminded of a fancy bottle in a ship, it looks that ornate. Thanks again to Remko for taking the time to make this geeky papercraft model! Now we need a Super Mario Bros 2. one to complete the triptych. Great job! Thank you for sharing Remko! 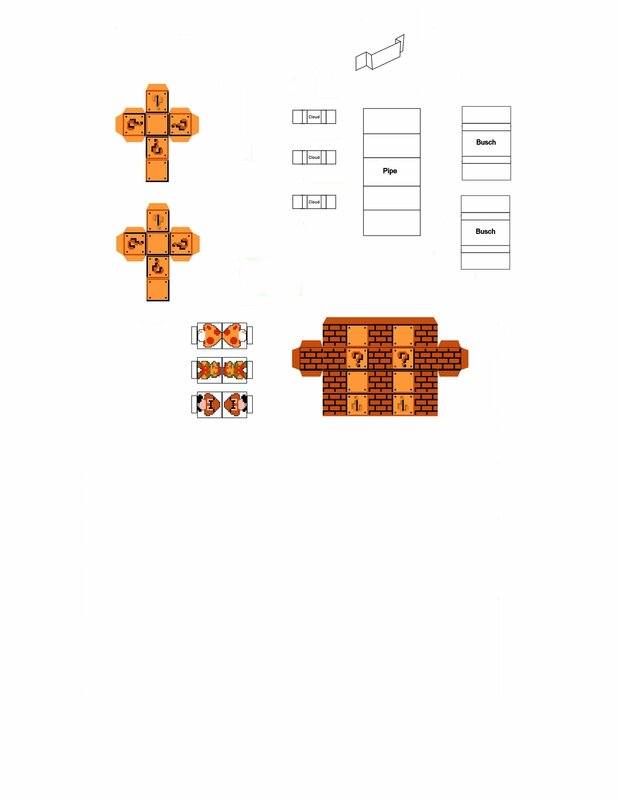 I noticed on the individual cutouts diagram, you’ve got the standoffs for the clouds, bushes and pipe, but no actual piece for any of those. Aren’t there supposed to be pipe, cloud and bush shaped/colored cutouts? Thanks for pointing that out. I will check with the artist who made it, barring that I will fix the template. Just use the other image to grab the clouds and pipe.